First, as if the departure of Nicole Beharie’s Abbie isn’t already bad enough (yes, I’m still hella-pissed about it), it looks like several other members of last season’s dream team are also out. Lance Gross (Daniel Reynolds), Jessica Camacho (Sophie Foster), Zach Appelman (Joe Corbin), Nikki Reed (Betsy Ross) and Shannyn Sossamon (Pandora) are not returning to the show, although it has been reported that Camacho’s character will return for one or two guest appearances. As of now, it looks like Lyndie Greenwood (Jenny Mills) is the only other cast member aside from Mison who remains from the first season. Of course, this news means that Ichabod will be given a new “partner”, which seems to make sense at the locale of the show will also change in season 4. 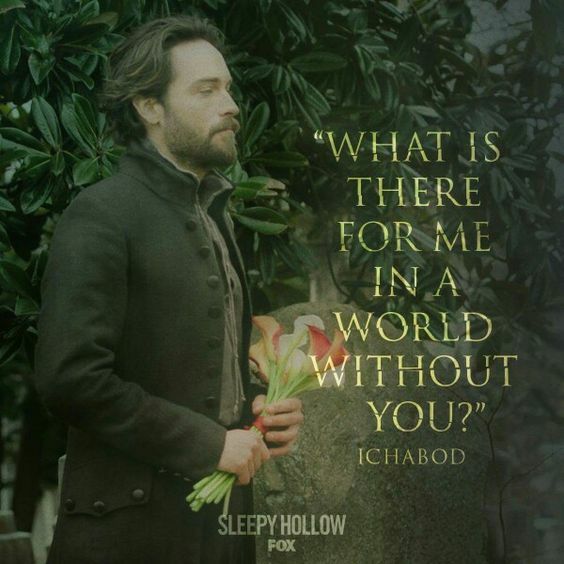 At the end of last season, Ichabod was whisked away by some mysterious men and it looks like they are taking him to Washington, D.C., which is where the show will now be set. Ichabod will receive a new partner in the form of Anna, an ex-military supernatural skeptic and single mother of 11-year old Stella. Now I am going to admit that as much as I love Tom Mison as Ichabod Crane, I have not decided whether or not I am going to stick with the show, as much as it hurts me to say it. I have been a fan of the show from day 1, and I just don’t understand why in the world FOX continues to make decisions about the show that make absolutely no sense to a fan like me. There was a strong core cast in the first season, a strong villain and plot, and a lot of chemistry. The second season – while still enjoyable – saw the reduction of Orlando Jones’s Frank Irving (another move for which I am hella-pissed), and an increase in the Crane/Katrina/Jeremy storyline that a lot of fans felt dragged on much too long. By the third season, Frank Irving was completely gone and we were introduced to new villains and good guys as Abbie Mills began slowly to fade into the background prior to the character’s shocking “demise”. The show tried new adversaries, old flames, and an alternate universe to try to wedge a divide between Ichabod and Abbie, and it felt just as unnatural as the concept itself. One of the driving forces of the show from the beginning has always been the chemistry between the two leads and the characters they portrayed. Now, the writers want us to get used to a whole new cast, in a different city, with a different premise? I’m not sure I’m down with that. And the funny thing is, as far as I can tell, they haven’t even cast the new roles yet!! Why mess with something that wasn’t broken? I say all of this to say, Sleepy Hollow just doesn’t feel like Sleepy Hollow anymore, and I’m not sure I’m going to invest in this new incarnation. I think I’ll just continue my re-watch of my season 1 DVDs and dry my fangirl tears as I long for days past.